In the United States over 100,000 children in foster care need permanent families. Their most earnest Christmas wish is to receive a family who wants to welcome them into their hearts and homes and love them for a lifetime. There is no good reason that a child should have to languish alone, without the support of a loving, safe, permanent family. It is a tragedy beyond measure. We can and should do better by these children. Love, sadly is not enough to heal their wounds, remediate their trauma and rebuild their ability to trust. 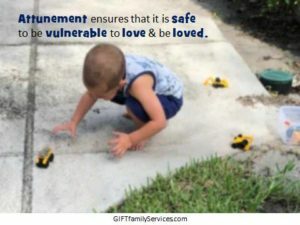 Along with a willingness to love, the potential parents they dream about must have adequate preparation that provides them with the skills, understanding and commitment which will ensure that they have the stamina and capability to be the parents these children so desperately need and deserve. To bridge these children across the divide of their grief, trauma and neglect requires more than good intentions. Through no fault of their own, these children have suffered great loss. That is their reality. Their truth. Their prospective adoptive families will need to be able to handle their truth, validate their emotions and walk with them as they journey to healing and regain their ability to trust. And love. The journey will not unfold as a fairy tale. Rather it will reveal itself as a hero’s journey for both child and parent. This will take emotional, spiritual and psychic strength beyond measure—enough to sustain parent and child through the rocky shoals of the healing process. 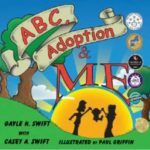 Prospective adoptive parents must be able to kick fairy tale expectations to the curb and deal with reality. This is the kinder, healthier and harder approach. 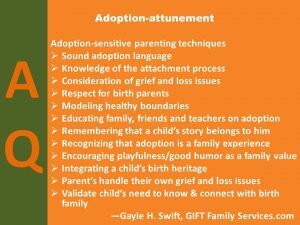 Happy, healthy families can emerge from this crucible as long as people pair their best intentions with the best Adoption-attuned* knowledge and understanding of the needs of children who fell into foster care. The deterioration of a family is neither pretty nor kind. It leaves scars, memories, self-sabotaging coping skills which—given the circumstances—they may be reluctant to release. Success will be hard won. Like all of life’s most valuable things, it will absolutely be worth the effort. Sally Ankerfelt, one of GIFT Family Services coaches had the opportunity to interview two young women who were adopted after being placed in foster care. (Click here to listen to the podcast.) These young ladies have pioneered a movement to help the next generation of foster kids. They’ve organized others like themselves, along with interested professionals to create Partnerships for Permanence* which is “an organization for former foster youth and adoptees coming together to raise awareness and actively work to improve the child welfare system." While their own personal experiences may have been imperfect, they have taken this experience and channeled it into a desire to help others. By sharing their personal insights about what helped and what failed them, they can improve the experience for children currently in the foster care system. Their mission demands courage, resilience and commitment. They could have chosen to be bitter and resentful; instead, they have become committed and hopeful that they can repurpose their suffering to ensure a better experience for foster youth. Please take the time to listen to their interview. Listen. Learn. Act. Then ask yourself, how has their story inspired you to adjust how you handle things within your family? 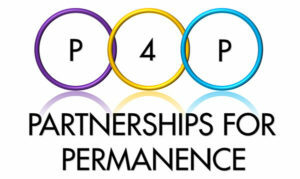 *Partnerships for Permanence is an affiliate of GIFT Family Services. They can work with families using the services of our coaches. The recent total eclipse captured our national attention and provided a refreshing point of unity for all Americans regardless of their political beliefs. It offered an experience of staggering beauty and reminded us of the fragility of this planet which we all share. For all of its mesmerizing beauty, an eclipse can blind us if we stare at the sun's brilliance without adequate protection. 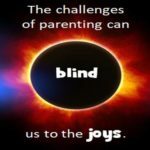 Sometimes the challenges of parenting can similarly blind us and cause us to lose heart. 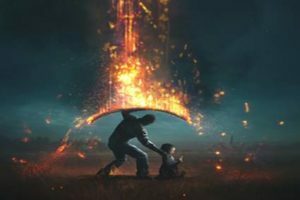 All parents know that in addition to the exquisite heart-touching, soul-altering joys of parenthood, it also includes challenges that can break the heart or cause us to question our capabilities as parents. The hard work of parenting also includes a healthy dose of drudgery: the heavy lifting of inculcating and enforcing family values and the important responsibility of teaching children how to learn from their mistakes. 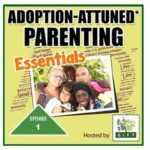 Adoption imposes additional challenges to our parenting tasks. In addition to the same tasks which all children face, our kids also must discern how to blend a dual heritage from their birth and adoptive families. Make no mistake; their job is far from easy. It takes courage and persistence, support and encouragement. Most of all it takes time. Lots and lots of time. This extended period of dependency can exceed our expectations; it also can exceed our patience. Sometimes parenting can feel utterly overwhelming and endless. 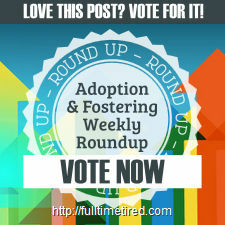 We look at our friends (who are raising kids by birth and not through adoption.) We envy their kids’ seemingly effortless ability to fledge the family nest and make it on their own. We’re ready for the next stage of life. Sometimes, we can fall into feelings of despair and wonder if our kids will ever pull themselves together. We fear that we are not up to the task. We mistrust our skills and inner strength. We tire of the conflict that simmers between us and children who are struggling to solidify their identity and enter adulthood. We crave a break from the stress and worry--for a moment, a day, a week... We pray for reassurance that things will work out well. Shift vantage points. Imagine what it is like to be in our children’s shoes. They can't step away around these obstacles. Their only pathway forward is to leap over these hurdles. They must forever manage the two planets of their lives: birth family and adoptive family. It’s a lifetime burden on their shoulders. As fatigued as we are by the shadows adoption casts into our family life, their stress pales by comparison. 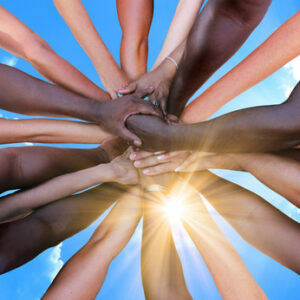 As Intentional parents we must remind ourselves that our kids are tired of the conflict too. They too, crave the relief of resolution. We know behavior is the language of trauma and that their behavior speaks volumes. They’re probably afraid they’ll never figure themselves out. They sense our worries and fears and these emotions magnify their own self-doubts, feelings of inadequacy and fears of rejection. Our exhaustion and impatience tells them we aren’t up to the challenge of standing with them until the crisis passes. That’s scary. It’s a primal fear like primitive man experienced when an eclipse wiped the life-giving sun from the sky and they wondered if it would ever return. Our kids need to know that we can handle them, their “stuff,” their anger and their fear. Unless we can hold that space of acceptance, security and hope, we’ve allowed ourselves to become blinded by the glare of the conflict because it is so close, so hot, so intense. But like the eclipse in which the moon succeeds in totally obscuring the sun which is four hundred times larger, the result occurs because of the perspective and proximity. Eventually the planetary alignment shifts, the moon continues on its orbit and our reality returns to its “normal.” As people of this century, we have this knowledge and that bedrock of security neutralizes our fear of the darkness. It’s scary until the light returns and begins to shimmer around the edges of the current problem. We must hold hope in our hearts with the sure knowledge that we can be the safety lenses that enable our kids and ourselves, to look right at these two things and learn how to establish a balance. In spite of any self-doubts or moments of weakness, we do have what it takes. Sometimes a shift in perspective can make all of the difference. Staring too directly at the fiery glow of the "problem" can blind us to the choices that will unfold in the near future or those that currently remain obscured by the too-close light. How will you use your "safety glasses to look at the challenges ahead? How can you serve as safety lenses for your children?